Petition re the Goodwood Oval precinct: residents are particularly concerned at the recent appearance of a pod (read shipping container) that appeared near the southern entrance a few weeks ago. The greatest concern is, I believe, other than the appearance of the thing and the fact that no consultation occurred (even with your ward councillors) is that the new grandstand may be built without sufficient storage to meet the needs of the clubs and that pods/sheds may still be required after the new build. Deputation Re Almond St: this was also an agenda item. While staff and the consultant were able to recommend a Shared Street to enhance the safety of pedestrians and cyclists in this street the preferred option for residents is a Shared Zone. After nearly an hour of debate the Shared Zone was not supported by Council. 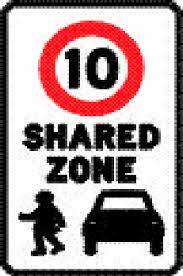 Shared Street opportunities: following on from the request from Almond St Council asked staff to locate other suitable locations for Shared Streets. Staff came up with a significant list and then shortlisted 8 streets. Unfortunately, many of the streets suggested were dead ends and no through roads that already have significant amenity over those who live in through roads. From the list I would start with those streets that meet the criteria that have the poorest amenity. In my books this was Richards St in Forestville. Pocket Parks: despite the disaster that was Kelvin Ave and the potential pocket park in that location Council voted again to develop this concept and identify suitable streets. In my opinion we should be spending our money on greening opportunities that are not dead end streets but on current underdeveloped Council land. Economic Development Rates Incentive Policy: Council voted to support offering rates relief to developers in the Unley Central Zone and to the purchasers of the resulting apartments, each for a period on 3 years. Hopefully, this will encourage development where it belongs and not in local neighbourhoods. Cr Schnell asked a question regarding the banning by China of imports of recyclable material. This was not answered as clearly it will take some time to research an answer. Other Councils are already positioning to raise rate revenue as this increases Council costs.